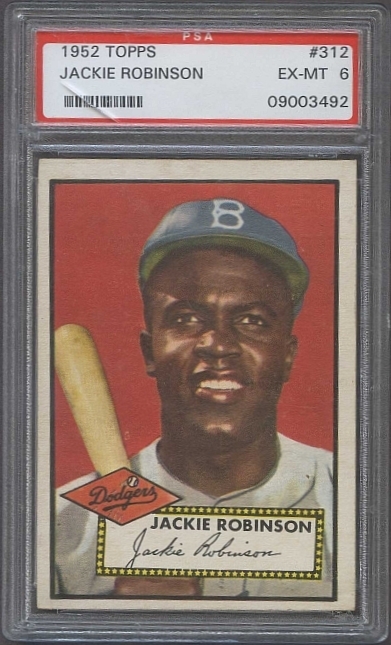 Although we've discussed the 1952 Topps baseball card set many times, both on our blog and in our YouTube videos, we've never had one specific card in stock before: the 1952 Topps #312 Jackie Robinson card. We finally bought one from a collection of about 40 1952 Topps PSA-graded cards. 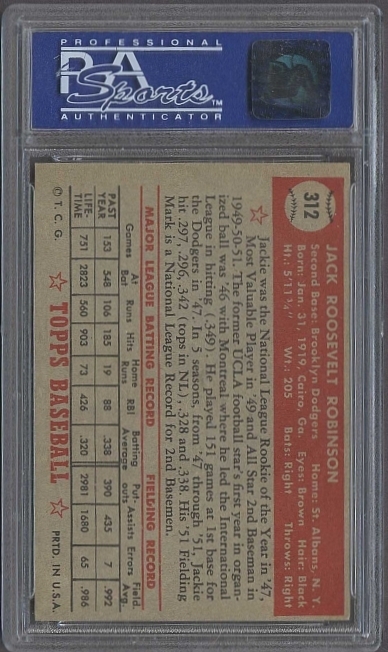 The collector had started the set several years ago, but found that was unable to fund the purchase of additional cards, particularly from the expensive high number series that ranges from cards #311 to 407. Fortunately for collectors, both the #311 Mickey Mantle and the #312 Jackie Robinson were double printed. Otherwise, both cards would be extremely difficult (and expensive) to find. Coming of his impressive 1951 season in which he batted .338 and led the Dodgers to a second place finish in the National League. In 1952, Robinson would lead the league in on-base percentage and finish in the top 10 for MVP voting for the fourth time (he would win the award once in 1949). According to PSA, this card is one of only 96 that grade PSA 6 EX-MT. 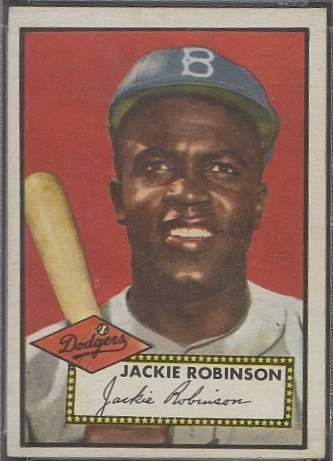 Please click here to view all of our Jackie Robinson baseball cards.